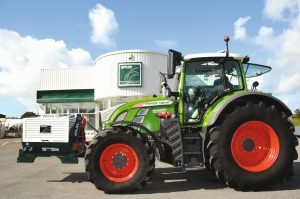 With each new range of Applied machines, we deliver greater innovation and design-improvements. 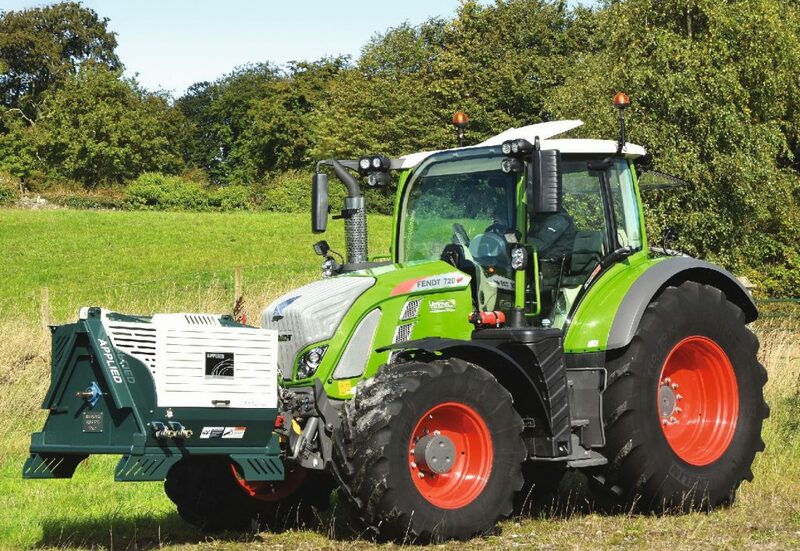 Our new Applied VariMount 350 PTO Compressor, as the name suggests, can be used on both the rear and front of a tractor, greatly increasing its flexibility and useage potential. 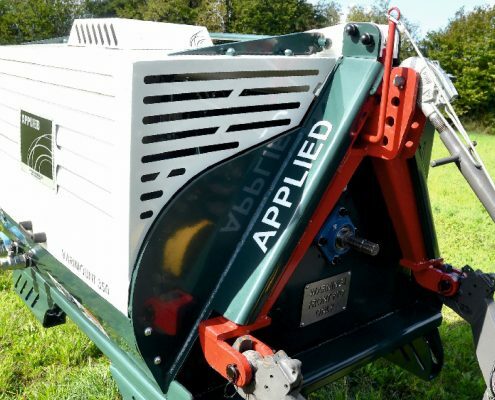 Our confidence in the market-appeal of the new Applied VariMount 350 PTO Compressor is evidenced by the fact that we’ve patented the innovative design and engineering that went into its development and manufacture. At the heart of the Applied VariMount 350 PTO Compressor sits the impressive MAGNUM air end – incorporating its own gearbox and built to produce an impressive 350 cfm. With just two moving parts – the asymmetrical profile rotors – contact only occurs on a lubricated pitch-line, so wear is virtually eliminated. Working outdoors in all weathers is no place for electronics. With pneumatic controls, your Applied VariMount 350 PTO Compressor can withstand the harshest working environments. 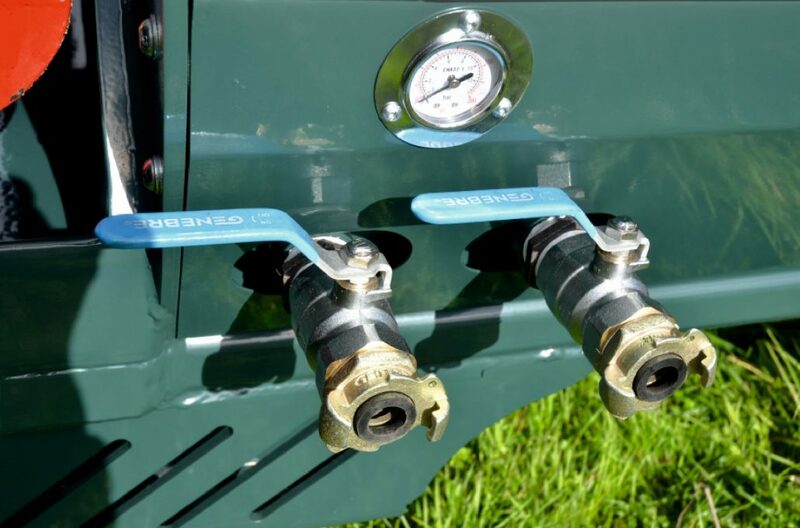 If you can stand it, your compressor should too. As an essential part of the Applied VariMount 350 PTO Compressor, the fan is designed to the highest specification. Delivering all the cooling power required to keep the compressor oil temperature regulated, which means continuous and safe operation, plus minimal downtime for you. 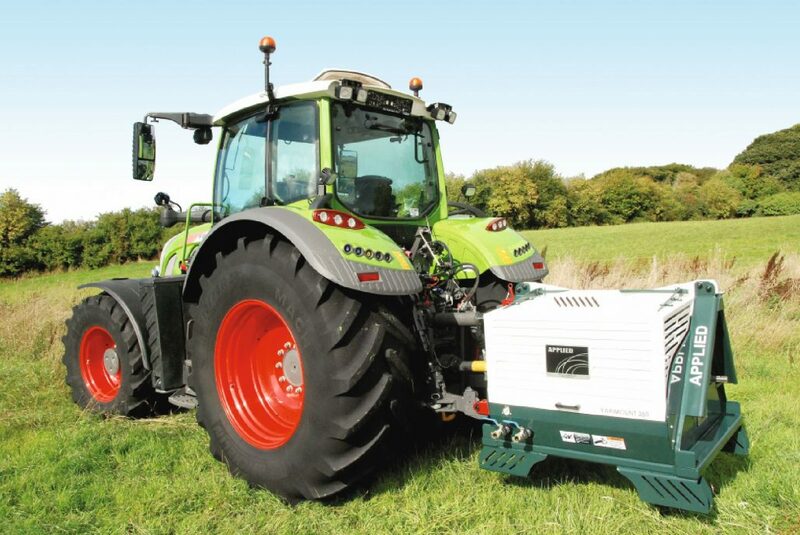 At only 1.2 m3 and an operating weight of 1190Kg the Applied VariMount 350 PTO Compressor can be easily mounted onto the rear or front linkage of your tractor. 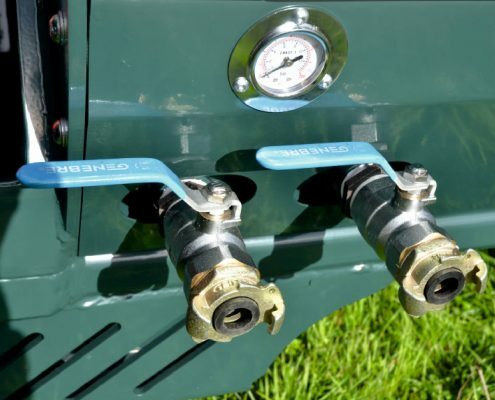 The chassis and other main compressor components have been hot-dipped, galvanised and powder-coated to ensure longevity and durability in the harshest working conditions. The main exterior frame has also been given the popular Applied Green powder-coated finish. 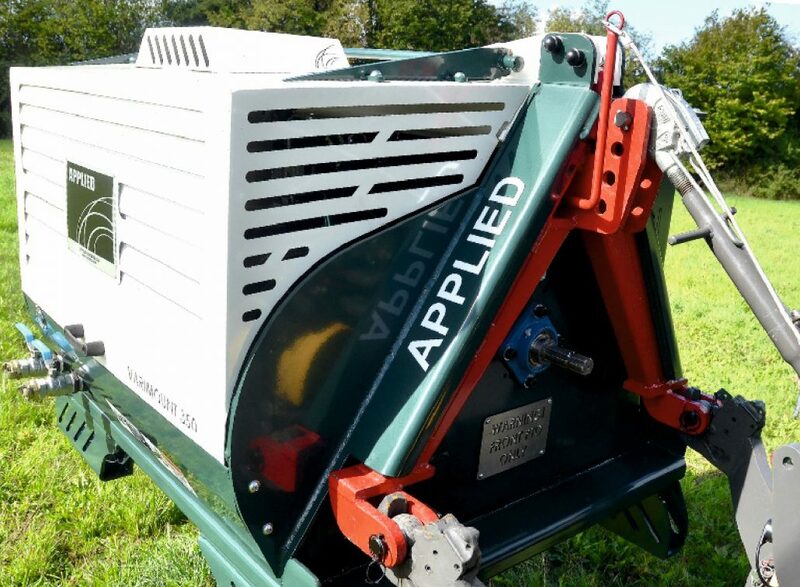 We’ve also designed the Applied VariMount 350 PTO Compressor with a standard detachable A-frame, which means it can be mounted and taken off your tractor quickly and easily. 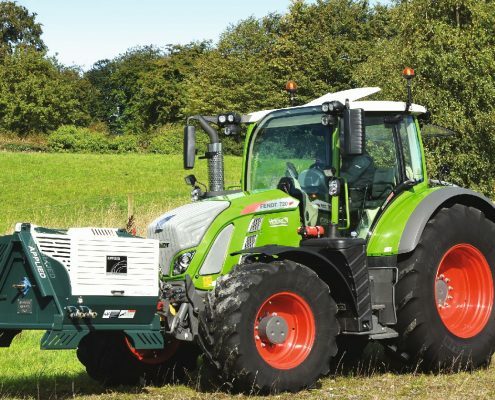 When it’s not on the front or rear linkages of your tractor, the Applied VariMount 350 PTO Compressor can be easily moved around by pallet forks. The Applied VariMount 350 PTO Compressor’s intelligent design layout ensures that all maintenance parts are easily accessible via a cover that’s easy to open, which means minimal downtime for you. 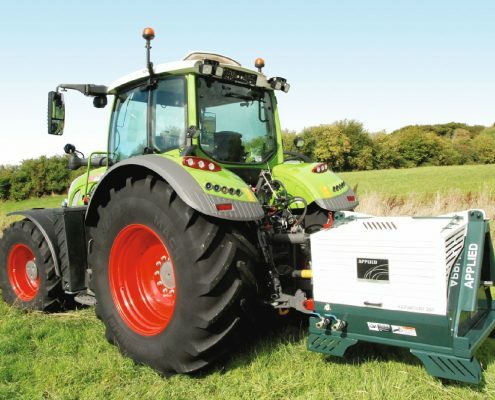 Unlike other mobile compressors with mounted diesel engines, Applied VariMount 350 PTO Compressor shares your tractor’s engine. It’s a two-for-one, which also means your diesel emissions are immediately halved.